TV Living Rooms That We Grew Up In infographic by VisualApogee. 4. "The Big Wedding," $7.5 million. 7. "Scary Movie 5," $3.5 million ($6.7 million international). 9. "The Place Beyond the Pines," $2.7 million ($1.1 million international). News-Herald Entertainment Editor Mark Meszoros and Sports Editor Mark Podolski preview the summer movie season, including "Man of Steel," "Star Trek Into Darkness," and "The Great Gatsby." 4. "Scary Movie 5," $6.3 million ($3.5 million international). 6. "The Place Beyond the Pines," $4.7 million. Arguably the greatest superhero and pop culture icon ever - Superman - debuted in a comic book 75 years ago today, Thursday, April 18. 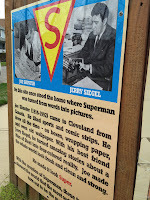 Superman was created by youngsters Joe Shuster and Jerry Siegel, just a few miles from Lake County in East Cleveland at the corner or Parkwood Drive and Amor Avenue. Siegel came up with the idea, and Shuster, an aspiring artist at the time, drew the superhero. 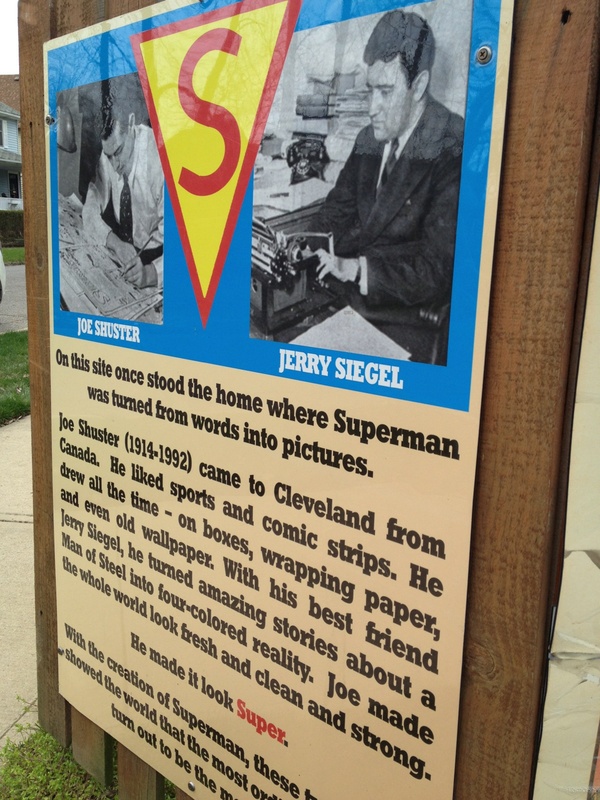 Fans of Superman can catch a cool glimpse of history by visiting the corner of Parkwood and Amor, the area where the house Siegel grew up in once stood. 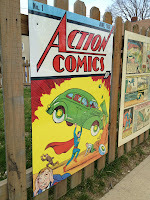 There is a wooden fence with a plaque honoring Siegel and Shuster, enlarged comic book panels of "Action Comics No. 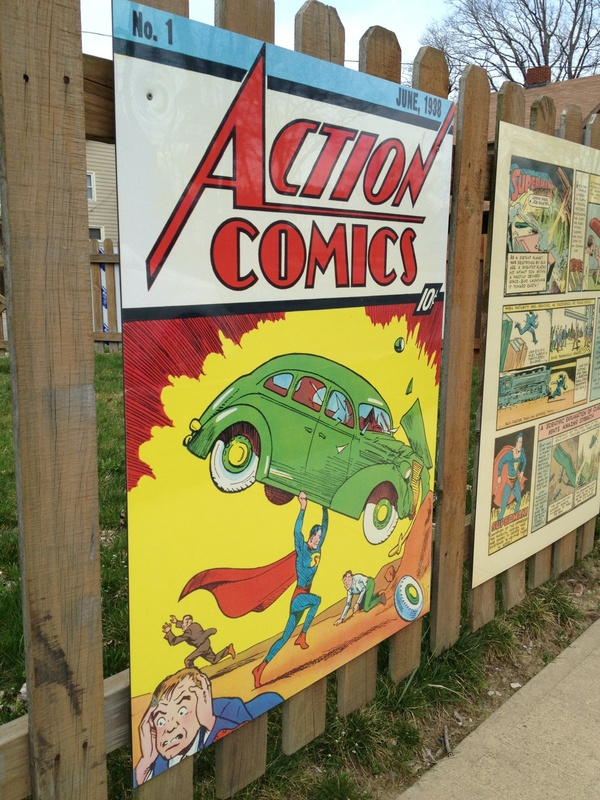 1" as well as an enlarged cover of the comic book, considered one of the most valuable of all-time. 2. "Scary Movie 5," $15.2 million ($3.5 million international). 9. "Tyler Perry's Temptation," $4.5 million. 10. "The Place Beyond the Pines," $4.1 million ($2.2 million international). On Roger Ebert, "Bates Motel"
The balcony is now ... closed. Roger Ebert, arguably the most popular and best film critic ever, died on Wednesday at age 70. He and Gene Siskel, who worked in Chicago, formed the popular "At The Movies" TV show, where the two discussed movies on a weekly basis. My love of the big screen began with my Aunt Sheila and carried on watching Siskel and Ebert. In the 80s, moviegoers awaited a "Thumbs Up" or "Thumbs Down" from the moviegoing duo. It was must-watch TV for moviegoers everywhere. Siskel died in the 1990s, so it's been a while since the two worked together on TV. Ebert, who battled cancer for the last few years, also won a Pulitzer for his work in film criticism. One of my favorite stories he wrote was Ebert describing watching "Rocky II" with Muhammad Ali. Read it here. In the pilot episode of A&E's "Bates Motel," the first scene is Norman Bates finding his father dead. How he died isn't told, but it's assumed Norman's mother is somehow connected, which starts (or contiues?) the odd connection between mother and son. In Alfred Hitchcock's original "Psycho," a grown-up Norman still has issues with his mother, albeit a dead one he stores in the Bates house behind the motel. "Bates Motel" is a prequel, so to speak, about Norman's teenage years, and the A&E TV show is almost as creepy and suspenseful at the 1960 original, although this version of the Bates family is set in present day. It works. Vera Farmiga plays Norma Louise Bates and Freddie Highmore Norman. The pair oozes chemistry from the get-go, so much so it makes you cringe at times. There's a scene in the pilot, which aired March 18, that has nothing to do with the mother-son relationship, but will make you cringe nonetheless. There's also a third character that will send shivers down your spine: the town of White Pine Bay, Ore., where Norma and Norman move to and buy the Bates Motel. There's shaddy things happening in this town, and enough to pull the viewer in. As if the Bates Motel wasn't enough.